MOVIE CORNER » You learn something new every day. I was looking on Amazon to buy myself a copy of this movie when the name of one Tom Hulce caught my eye. “Hmm…” says I to myself. “Why is that so familiar?” So with the magic of the internets I looked up this man and I saw THIS! Behold! His hair! It stands on its own! Looks pretty awesome and creepy, no? The reason I saw this, however, was my art appreciation class that I had last semester. And it’s a good thing too. 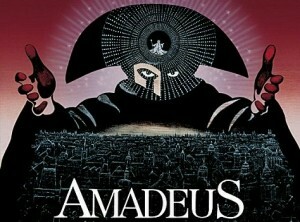 I especially liked how the film was told in a flashback by Antonio Salieri (played by F. Murray Abraham, who won the Best Actor Oscar for this role), the nemesis of Wolfgang Amadeus Mozart. Trust me, this movie is GOOD STUFF. 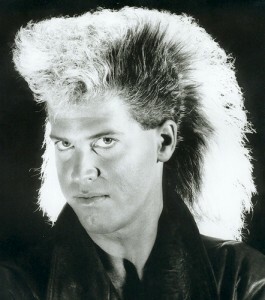 It is one of the few exceptions to my assertion that all 80’s movies are BAD. Ok, so now that I’m off my tangent, I suppose I should come to my somewhat less hyper conclusion of this fun fact. 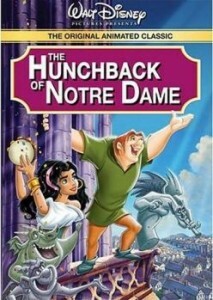 The reason all this came up is that Tom Hulce is the voice of the Hunchback in the Hunchback of Notre Dame. This will become more exciting for me later, when I have actually seen the movie in English, which I suspect won’t be for a while considering my inclinations toward French at the moment. *Has anyone else noticed how atrocious some of the cover art for DVD re releases of animated classics are? I’m not talking just Disney here, Fox (for Anastasia), DreamWorks (that Sinbad movie), and even the covers for the Swan Princess movies**! I realize that they hire different artists to do the cover art, but shouldn’t keeping with the spirit of the film be a goal for the cover artist? Ack! ** Of the Swan Princess movies, sadly, only the first is any good. They should have stopped there. Perhaps a post on bad sequels will come later? And one last thing. 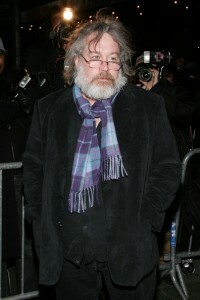 I was rather amused to also discover today that Tom Hulce now seriously looks like Santa Claus in his more advanced years. I’m sure you can imagine your own Santa jokes.